Here are a few books that caught our attention in recent weeks … each reviewed in no more than 140 characters. 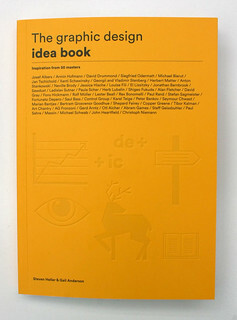 The Graphic Design Idea Book shows 50 ‘ideas, approaches & themes’ used by famous graphic designers including Marian Bantjes & Josef Albers. 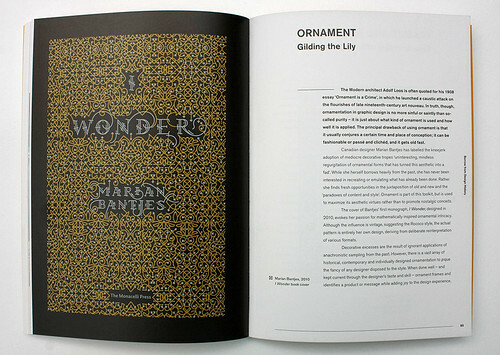 Spread from The Graphic Design Idea Book showing Canadian illustrator-designer Marian Bantjes’ I Wonder, published by Monacelli Press in 2010. See ‘Slow print’ in Eye 77. 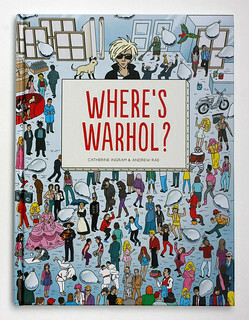 Top: Spread from Where’s Warhol? 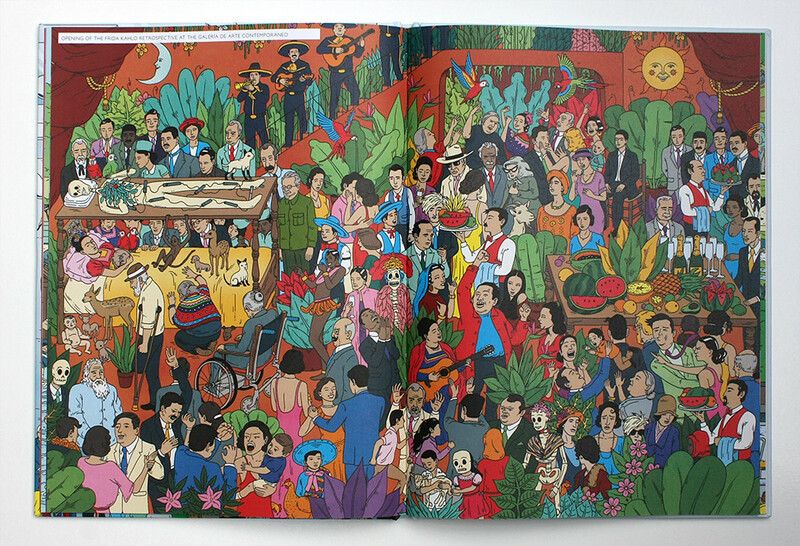 showing Andrew Rae’s illustration of the opening of the Frida Kahlo retrospective. Spread showing an advertisement for the New York and Pennsylvania paper company designed by Paul Rand, 1960. 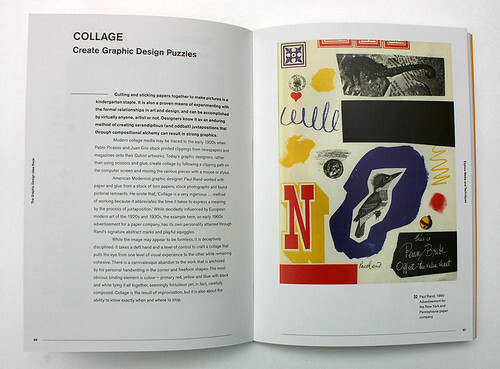 The Graphic Design Idea Book: Inspiration from 50 Masters by Steven Heller and Gail Anderson (Laurence King Publishing, £12.95). Pocket-sized Can you feel it? 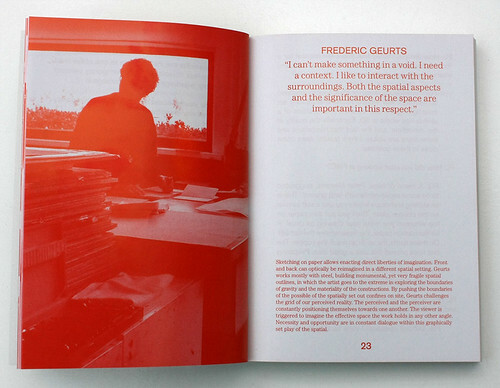 explores printing in interviews with ‘Mister Litography’ & ‘Miss Risograph’ together with essays and photos. Frederic Geurts featured in Can You Feel It? : Effectuating Tactility and Print in the Contemporary. Can You Feel It? 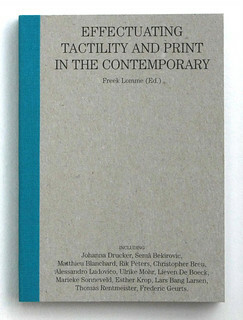 : Effectuating Tactility and Print in the Contemporary (Onomatopee 118, €17) edited by Freek Lomme and including essays by Johanna Drucker, Alessandro Ludovico and Esther Krop, among others. Art eats itself in Where’s Warhol, a celebrity-laden gift book for kidults, featuring John & Yoko, Francis Bacon and an uncredited Moondog. 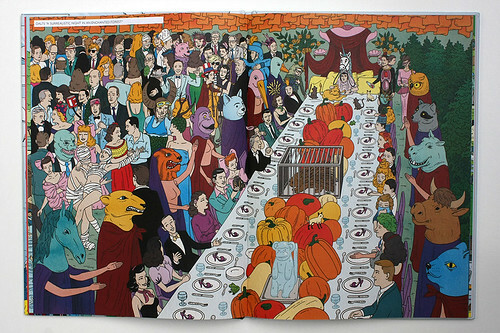 Spread from Where’s Warhol? showing Andrew Rae’s illustrated interpretation of Salvador Dali’s ‘A surrealistic night in an enchanted forest’. Where’s Warhol? by art historian Catherine Ingram and illustrator Andrew Rae (Laurence King, £9.95). 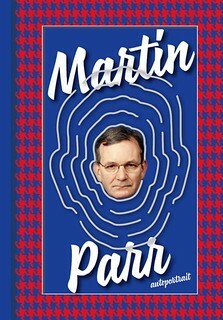 Martin Parr’s Autoportrait (2016) shows 89 comical portraits of Parr manipulated with analogue & digital methods: airbrushing, tinting, etc. Martin Parr, Fez, Morocco, 2009 (left) and Beijing, China, 2009 (right). 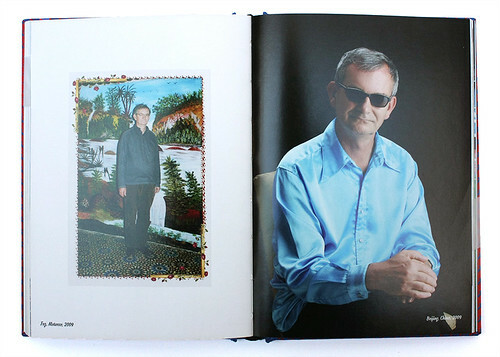 Autoportrait 1996-2015 by Martin Parr (Dewi Lewis Publishing, £16.99). 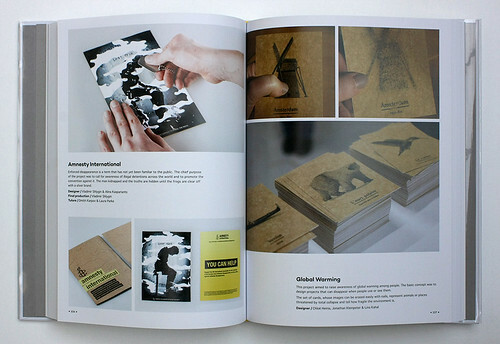 This revised edition was designed by Éditions Xavier Barral. Playful Graphics aims to put a smile on your face, with puzzles, paper fruit, origami, optical illusions, frogs, fluorescents and Fantone. Student project for Amnesty International raising awareness about illegal detention designed by Vladimir Shlygin and Alina Kaspariants (left) and a global warming awareness project designed by Chloé Heinis, Jonathan Kleinpeter and Lina Katal (right). 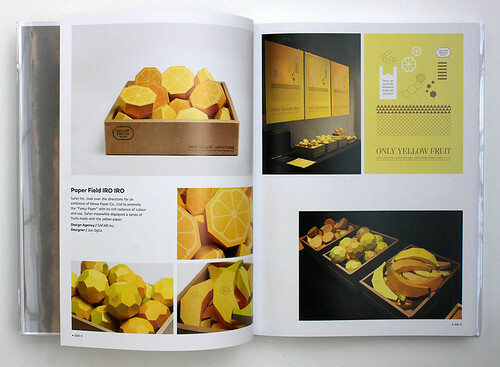 Paper fruit designed by Jun Ogita (Safari Inc.) for an exhibition of ‘fancy paper’ by Japanese paper company Heiwa Paper Co. 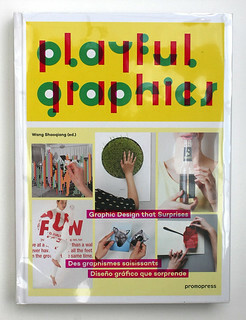 Playful Graphics: Graphic Design That Surprises edited by Wang Shaoqiang. Published by Sandu Publishing Co. and Promopress (English edition). Cover design: David Lorente.